FEMA offers several online courses and exams for public information officers. Here’s a sneak peek with questions from a real exam! 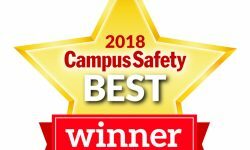 Check out this year’s top campus public safety, security, emergency management and fire/life safety products — The CS 2018 BEST Award Winners. These BEST Award-winning security solutions just might help you address some of your toughest public safety, security, emergency management and life safety/fire challenges. 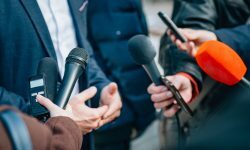 The software connects higher education institutions with local communities and government agencies to create transparency and provide effective responses. Check out IDIS, Omnigo, Napco, Amag and Genetec — just a few of the companies that exhibited at ASIS 2017 this week. Omnigo exhibited at ASIS last week where its software for healthcare and education were showcased. Two people have turned themselves in after the Colorado School of Mines was vandalized on July 4. Roomsponder is a web-based internal communication system for schools to account for staff, students and visitors during any critical incident and can be used on any device. Have you conducted a hazard analysis of lightning strikes? With the exception of about only six states, lightning risks should be on your radar. The converted school bus is equipped with a 32-inch flat screen TV, two-way radios, laptops and more.